Meet this egg-shaped dog with so alluring smile. The floof’s name is Pom Pom. 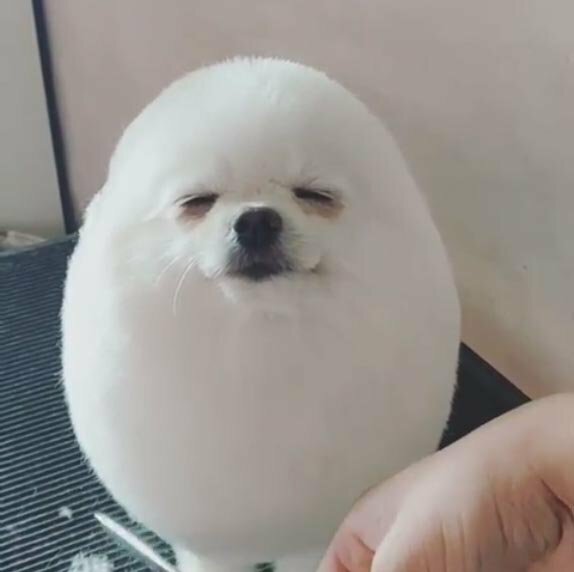 This adorable Pomeranian recently achieved celebrity status on social media after a Singaporean pet groomer shaped him to resemble an egg. Currently viewed for more than 100,000 views, the dog looked so calm while having his cut. 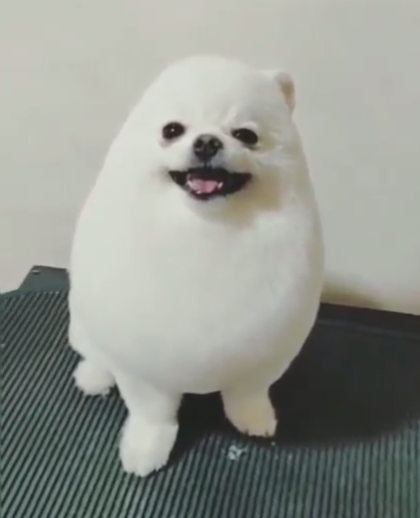 Back in January Andrea posted photos and videos of one of her most ingenious projects yet, a cute Pomeranian styled to look like a giant egg. She posted her amazing art work on Instagram, but they only went viral late last month, spawning the now trending “Egg Dog” meme. In a video shot from just the right angle, Pom Pom can be seen sitting still, with his ears flat behind his head. Many people have been getting inspiration from him and started making varieties of arts based on Pom Pom’s character. Andrea gave PomPom an incredible look gave a shower and massaged his body to puff up the fur. 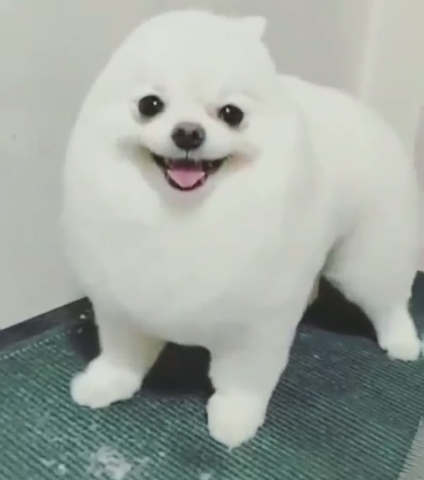 Credit goes to PomPom too, for sitting like a good boy and even flattening his ears to become Egg Dog. Pom Pom is taking over the internet after he was trimmed into an egg. The adorable dog looked very happy too. This is how he looked from the side. 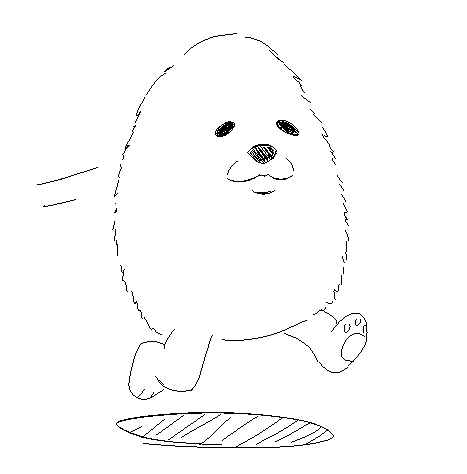 And this drawing of the charismatic egg dog captain. You can definitely hang this on one of your walls. Not only that, Pom Pom was also turned into a cute figurine by a popular Japanese sculptor. Funko Pop didn’t want to miss out on the craze and created an egg dog toy as an April Fool’s joke. I am definitely buying if they did produce this one!